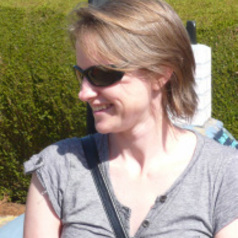 Jenny Waycott is a Lecturer in the Department of Computing and Information Systems at the University of Melbourne. Dr Waycott received her PhD in educational technology in 2004. Since then she has worked on a number of projects in the fields of human-computer interaction and educational technology. She has investigated the use of social media in higher education, the role of mobile technologies as learning and workplace tools, and the design of social technologies for older adults. Dr Waycott's research is broadly concerned with understanding how technologies can be designed and used to support people's learning, work, and social activities. Her recent work has focused on the design and use of new technologies to enhance the social lives of older adults and housebound people who are socially isolated.